Charity matches are usually tame affairs, an outlet for stars to show off and professional basketball players to make fun of Zaza. 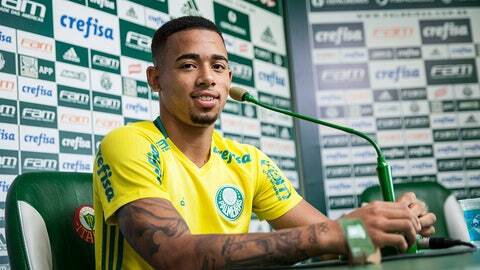 But at an exhibition on Wednesday, Manchester City signee and Brazilian international Gabriel Jesus was on the receiving end of a hard tackle—though not from an opposing player. A random fan ran onto the field, snuck up on Jesus and tackled the future City player, who fell down and appeared to clutch his leg. Watch an extended clip, including the aftermath, below. Here's a closer look at the moment of the tackle. Jesus, 19, reportedly needed treatment, though he avoided serious injury, according to the Manchester Evening News. The young forward will join City in the winter from Palmeiras.